Thanks for letting us know you don't want to receive our newsletter packed full of tips and updates to help you get your finances in order. We don’t want to waste your time and clog up your inbox if you don’t want the information. However, if you’re not completely happy with the structure of your finances you may find some of this useful. So if you’ve changed your mind enter your name and email and we’ll let you right back in. If your finances are already in order and you’re loving it…. that’s awesome. Enjoy! 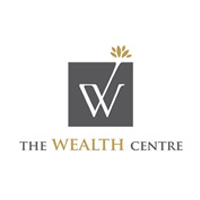 Copyright © 2014 The Wealth Centre.